In her spoken word performance, Tasleem Jamila el-Hakim explores the complexity and intersectionality of a multinational, multicultural, multi-faith identity. In I AM, she talks about her ancestry, her faith, her beliefs, and her roots, and considers power and interfaith dialogues as a Muslim woman and so many other things. 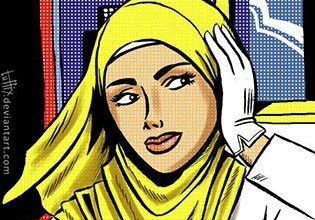 She embodies the diversity of Muslim women around the world and proves that stereotypes and small boxes just won’t hold. Some say wow, she dope but how? I am current, the future, still relevant and now. Tasleem Jamila el-Hakim is a poet, emcee, vocalist, fashion designer, radio host, actor, musician, wife, mother, activist, holistic lifestyle consultant and motivational speaker. Tasleem draws from her experiences growing up in Chicago, her faith, her ancestors and her numerous world travels. Her skills evolved from taking dance and private piano lessons in her youth, while constantly surrounded by creativity and music. She studied Theatre and Fashion at Columbia College in Chicago. Her creative vision led her to fuse Hip-Hop, Jazz, Soul, Blues and spiritual experiences. Tasleem has performed at various venues in Ghana, West Africa, New York City, Washington DC, Philadelphia, Ohio, Indiana, Chicago, Atlanta, New Jersey, many major universities and festivals across the globe. She has shared the stage with such artists such as The Last Poets, KRS-1, Vieux Farka Toure,Brother Ali, Tinariwen (Mali), Tiraline (Morocco), Ali Shaheed Muhammad, Lupe Fiasco, Rock Steady Crew, Kindred and the Family Soul, Jurassic 5 among others. As an activist poet Tasleem has written and performed special poetry for The Cancer Society of Chicago, Domestic Violence Programs, Peace in Streets Campaign and Youth Peace Summit. 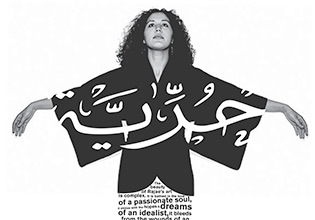 Tasleem Jamila’s talents doesn’t stop at poetry, music and design, she also has her hand in acting. She has appeared in a documentary film about domestic violence which was showcased at The New York Cultural Museum. Tasleem has also appeared in the following movies: “Love Jones”, “A Hip-Hop Journey with the Ancestors”, (a film about Oscar Brown Jr,), and a cameo in the film “New Muslim Cool”. Tasleem will also show up a film about her life and journey by Lunar Butterfly Productions and a film about Hip-Hop and Love of the Arts, both to be released in 2014. When Tasleem is not performing she utilizes her experiences working with the youth conducting workshops on self-esteem, Hip-Hop and Poetry/Spoken Word. 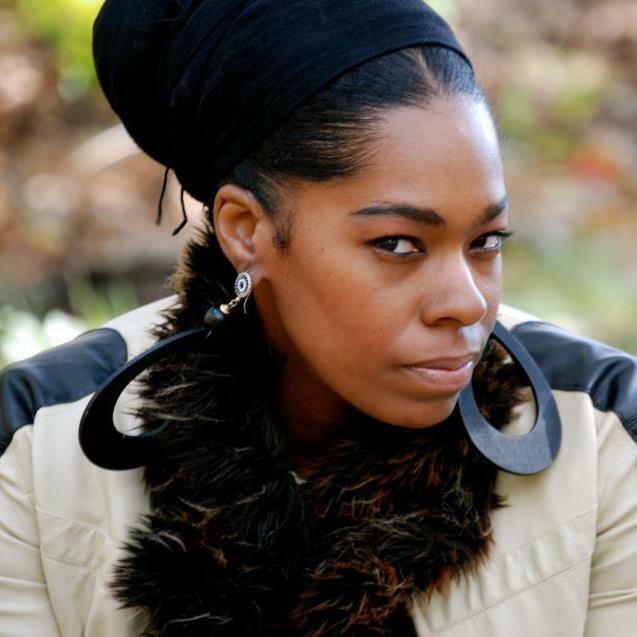 As a writer, director and choreographer for several productions her youth advocacy has allowed her to work with organizations such as Kuumba Lynx, Little Black Pearl, Family Matters, After School Matters, Cease Fire and IMAN (Inner City Muslim Action Network) where she is currently a member of their Arts Council. For the last nine years Tasleem has been a radio host and producer, giving her the opportunity to meet and interview hundreds of artists, activists, scholars, and historians from across the world. Notable icons she has interviewed includ First Lady Michelle Obama, Imam Warith Deen Mohammed, Public Enemy, Dead Prez, KRS-1, Black Sheep and more. She has been featured in the Chicago Tribune, Muslim Journal, Chicago Daily, and on BBC, WBEZ (NPR), WKKC (Chicago), ABC-Channel 7 (Chicago) and many internet and cable stations across the nation. Tasleem Jamila released her first full length project, a DVD “My Soul Speaks” through her company My Soul Speaks Publishing. Her debut CD entitled “Tasleem” was released also under her company which features Abiodun of The Last Poets and composer Reginald Robinson, Amir Sulaiman and Khari Lemuel. Tasleems debut CD fuses Hip-Hop, Jazz and Soul with a powerful lyrical flow. She has also toured extensively and made numerous appearances on other artist’s albums and pages, including Kuumba Lynx “El Barrio Clocks Our Beats and Rhymes” album, Sound Mindz Music “The Attack of the Waybacks” album, Vent Movements “Let the Movement Began” album and Floyd Boykin Jr, “No More Silent Cries” anthology book. In 2009 she was asked to join a group of artist from around the world for a compilation CD dedicated to the legacy of Malcolm X “Necessary” to be released with three unpublished chapters of “The Autobiography of Malcolm X”. Currently Tasleem is an editor for the project “Crossing Limits” which brings Muslim American and Jewish American Poets together. She is also working on a production series entitled “ACTIVATE”: which will be released as a CD, Blog Talk Radio Show, and stage production. 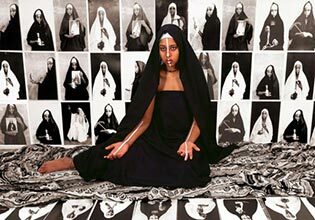 Her long awaited poetry book, BLACK BAPTIST MUSLIM MYSTIC: from the Cosmos was released in October 2013.